Art batts are fun to make, and the magical yarns they create are one of a kind. In this post, we’ll introduce you to a few add ins, and how to best integrate them into your batts. As fiber artists, we all have bits of yarn and fiber left over from other projects. Waste not, want not! Some of those things that you’d normally throw away can create a wonderful tweed effect when added to your batt. The best way to integrate fiber and yarn bits into your batt is to “sandwich” them between two layers of fiber. To do this, simply divide your base fiber into two equal portions; lay the first half down, add your fiber or yarn bits, and then place the rest of the fiber on top. Send it through the carder and VOILA! A beautiful tweedy batt for your next project! Who doesn’t love a little glitz and glamour in their batts? 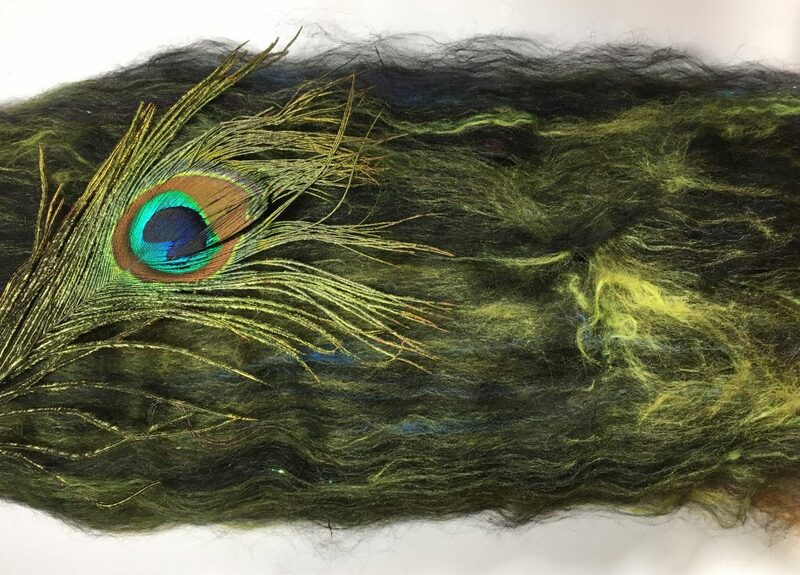 Synthetic shimmery fibers such as firestar, angelina, or even recycled sari silk can add sparkle and pizzaz to your project. 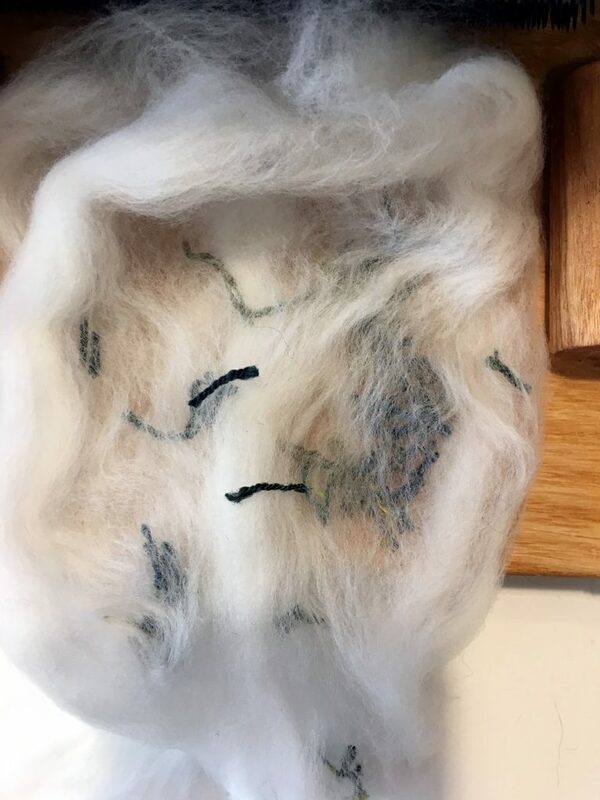 A little can go a long way for this grouping of fibers – it’s best if you add in small bits directly to the large drum as you’re carding the other fibers for your batt. Much like synthetic fibers, wool or mohair locks love being added to the drum directly, as passing them through the carder may separate those beautiful fibers more than desired. By adding them to your base fibers as you card, you can p reserve their wavy texture and crimp to add interest to your finished project. Silk noil, the short fibers left over from spinning silk, is another option for adding texture to your batts. 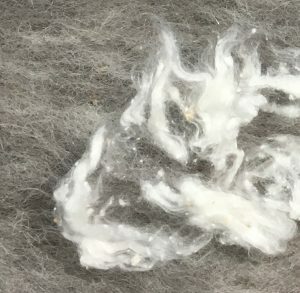 Because the in-feed drum of the carder is meant to help pick out small bits during the carding process, this is another additive that is best sandwiched between your base fibers to maximize the integration. These “reclaimed” fibers are perfect for adding texture to your batts, creating a delightful tweed-like effect. Ribbon, sequins, beads feathers, and silk flowers are just a few ideas for non-fiber add-ins to enhance your art batt. However, not all of these items are easy to add in during the carding phase. In particular, ribbons and sequins are best added after you finish carding your batt, as the teeth on the carder will rip the ribbons, and sequins or beads just won’t stick. To add ribbons to your batt, it’s best to roll them into your finished batt just before you spin. 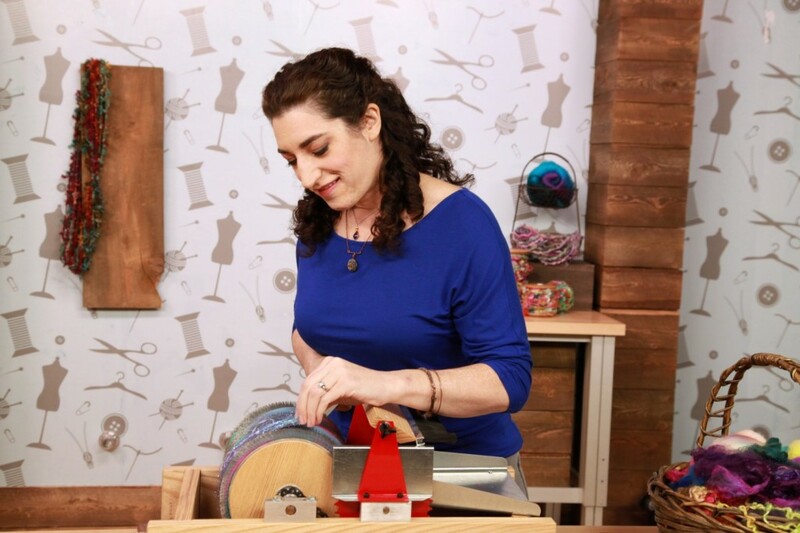 You can also try this technique with beads or sequins, although we find it’s best to string thread, yarn bits or fiber through them before doing so. This will make it easier to keep them secure as you spin, and also ensure that they don’t fall out of your resulting yarn later on. Items such as feathers and silk flowers are a little easier to add during the blending stage of your batt: we share a tutorial on adding feathers to a batt here in our blog archive, and this same technique can be applied when adding silk flowers to a batt project. These fun and funky ingredients can add a huge visual impact to your finished project, so don’t be afraid to experiment and let your imagination run wild! Get more fibery inspiration in your inbox when you sign up for our free monthly newsletter! 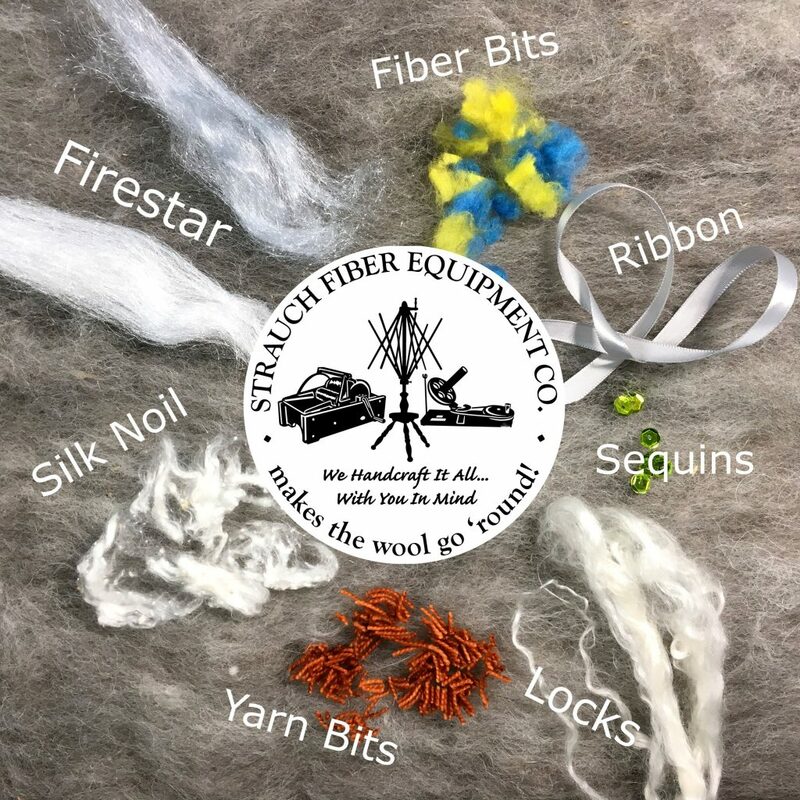 This entry was posted in Fiber and tagged batt, batts, carder, carding, drum carder, Fiber, fiber prep, How to, inspiration, strauch, Strauch Fiber, strauch fiber equipment, tips, wool. Bookmark the permalink.